TropiClean Pet Products is proud to be a first-time sponsor of the AKC National Championship Presented by Royal Canin. The AKC National Championship is the largest dog show in North America, where more than 5,000 dogs from 49 states and 21 countries compete for the most prestigious title – Best in Show. 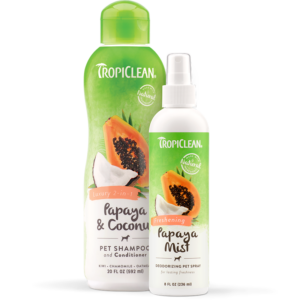 With Fresh Breath by TropiClean as the Official Oral Care Sponsor, we are thrilled to educate pet parents on the importance of pet oral care. 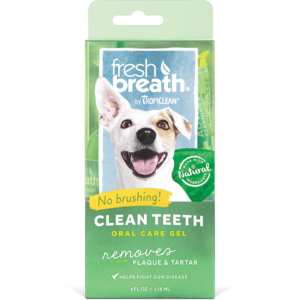 Our Oral Care Water Additive is an easy to use dog dental care solution formulated to deliver up to 12 hours of fresh breath plus provide plaque and tartar defense. Just add one capful to your dog’s water bowl every time you refill it. Our Oral Care Gel is a no brushing dental care solution formulated to help remove and prevent plaque and tartar. Simply apply two drops of gel to each side of your dog’s mouth on a daily basis. In addition to being the Official Oral Care Sponsor we will also be sponsoring the Ready Ring, where canine competitors wait for their turn in the spotlight and do any final brushing and prepping before entering the ring. We are excited to be ringside with our TropiClean grooming products, helping bring out the best in our furry friends by making sure their coats are sleek, soft and shiny!